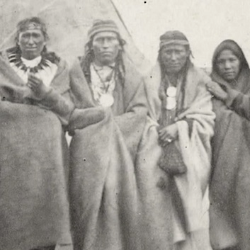 One hour documentary film, followed by panel discussion featuring Native American speakers. Doors open at 6:30pm, film starts at 7pm. Free event. Refreshments will be served. 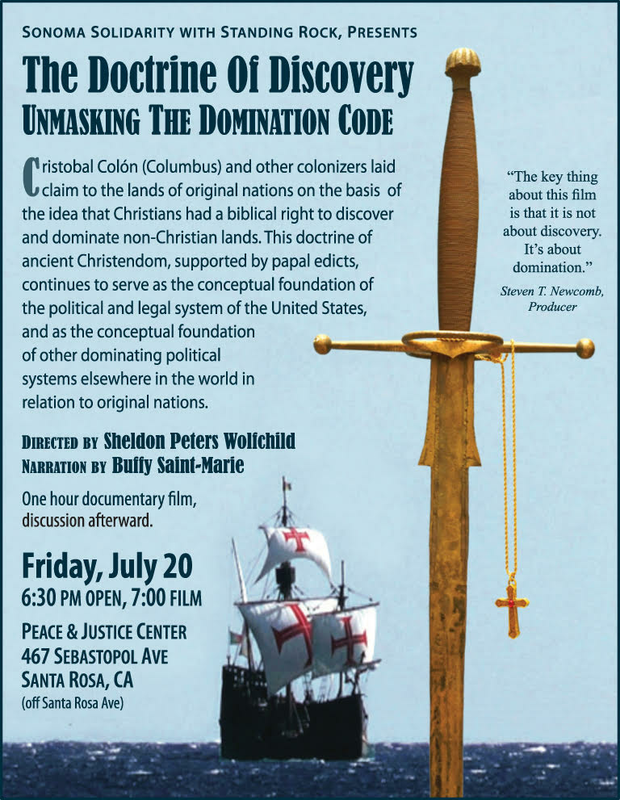 Cristóbal Colón (Columbus) and other colonizers laid claim to the lands of original nations on the basis of the idea that Christians had a biblical right to discover and dominate non-Christian lands. This doctrine of ancient Christendom, supported by papal edicts, continues to serve as the conceptual foundation of the political and legal system of the United States, and as the conceptual foundation of other dominating political systems elsewhere in the world in relation to original nations.